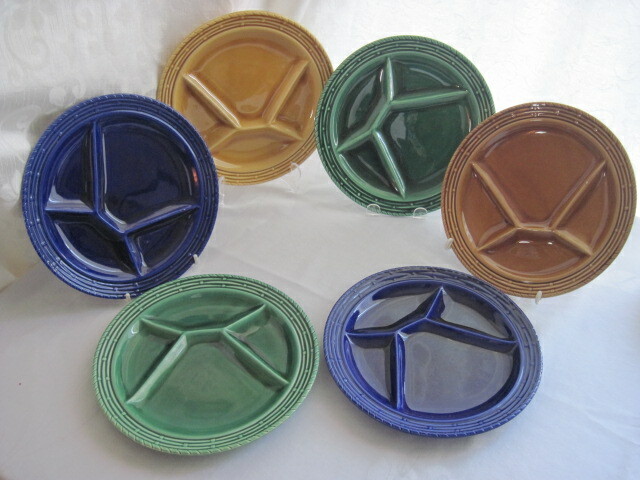 Gorgeous jewel tone colours on these fondue plates made in France by Sarreguemines. I would date these to the early 70’s when fondues were all the rage. These will be for sale at my booth at the Almonte Antique Market in Almonte Ontario for $25.00 for the six plates. Note: These plates are now SOLD!! !